Shipping FYI. The paypal shipping calculator is not flexible enough for the variety of products on my site. If paypal over charges on shipping on the uniseals, I will refund the difference since uniseals are small and I can often ship them for less than the estimate based on weight would suggest. Not always, but usually yes. I prefer bulkhead fittings if I’m coming from the floor of a tank or trough. The water weight in this situation has leaked through a uniseal, but not through a bulkhead. All my stuff is outdoors so a tiny leak is never even noticed. 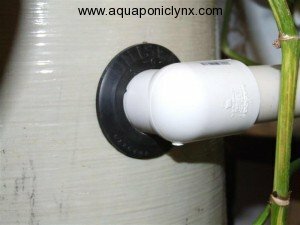 Biggest trick is to make sure there is nothing pushing against the pipe once installed, this can be tricky on the bottom of a tank or trough. I love Uniseals! 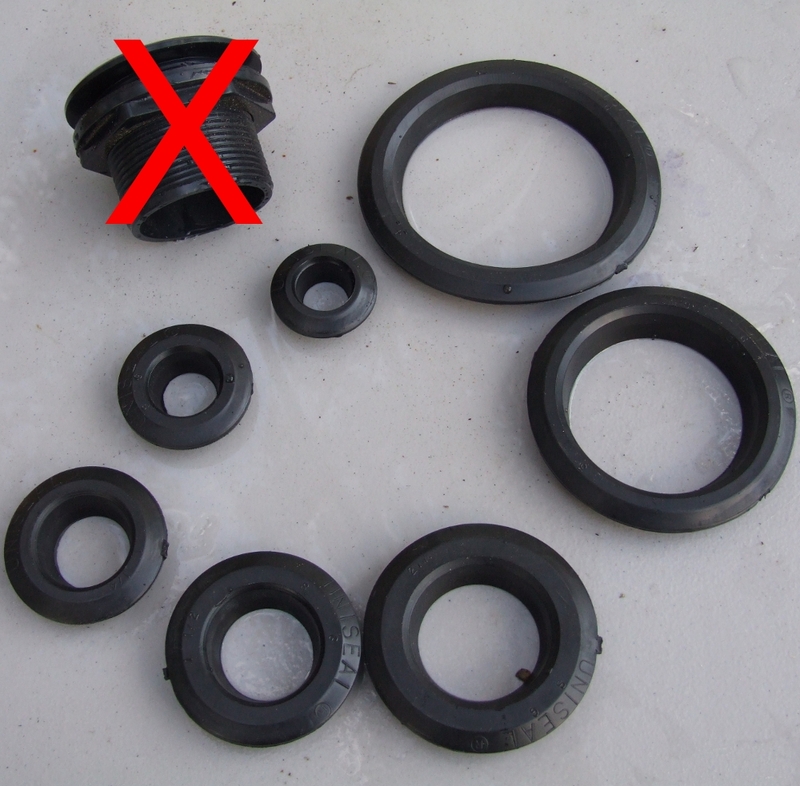 There are also threaded fittings that are very similar from AES. Sometimes I find myself drilling a hole using a tap bit on thicker plastic and pvc. That way you don’t need any fitting, just a dab of magic lube. Aleece, did you use thread tape? On the T replacement threaded fittings? Yes still had leak problems. On the uniseals, no there are no threads so there is no place to put thread tape.